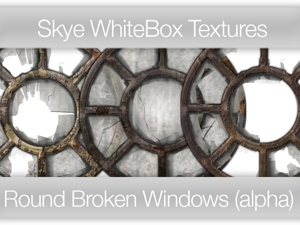 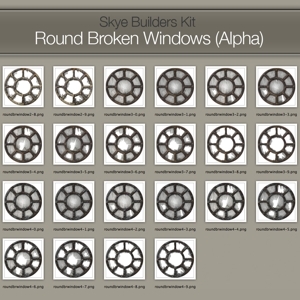 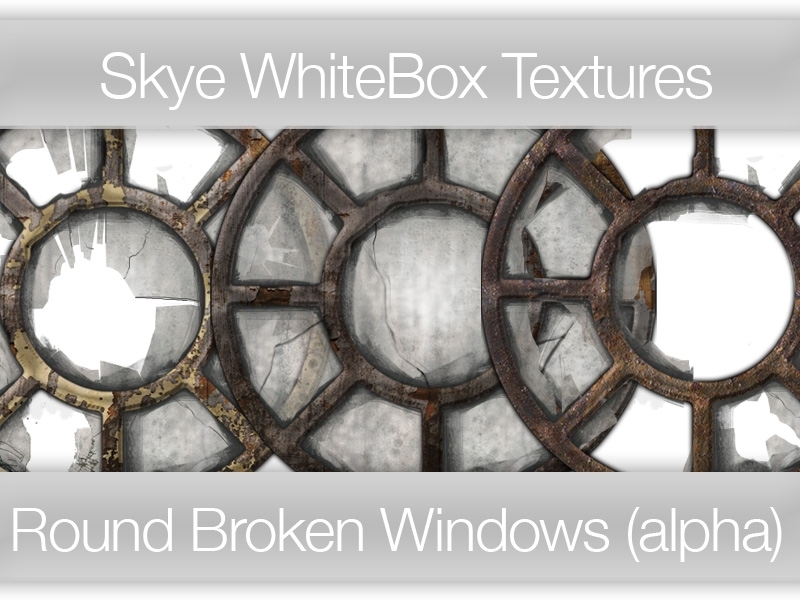 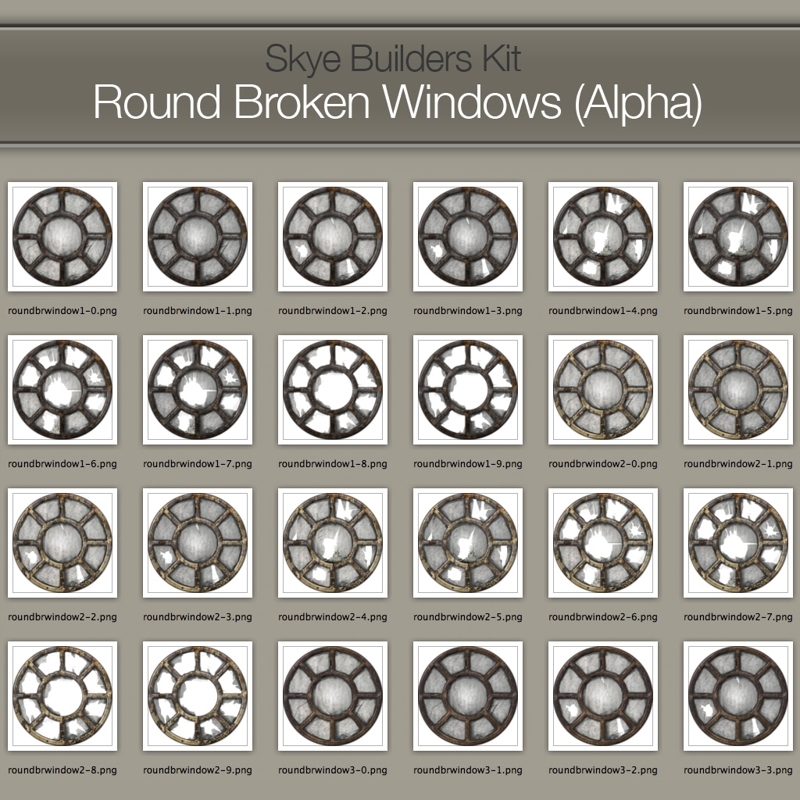 Round broken glass windows with full alpha transparency. 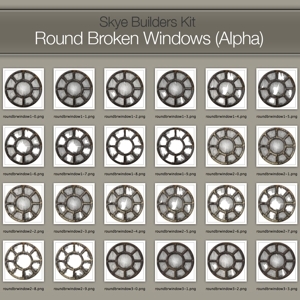 Seamless 512 × 512 px. 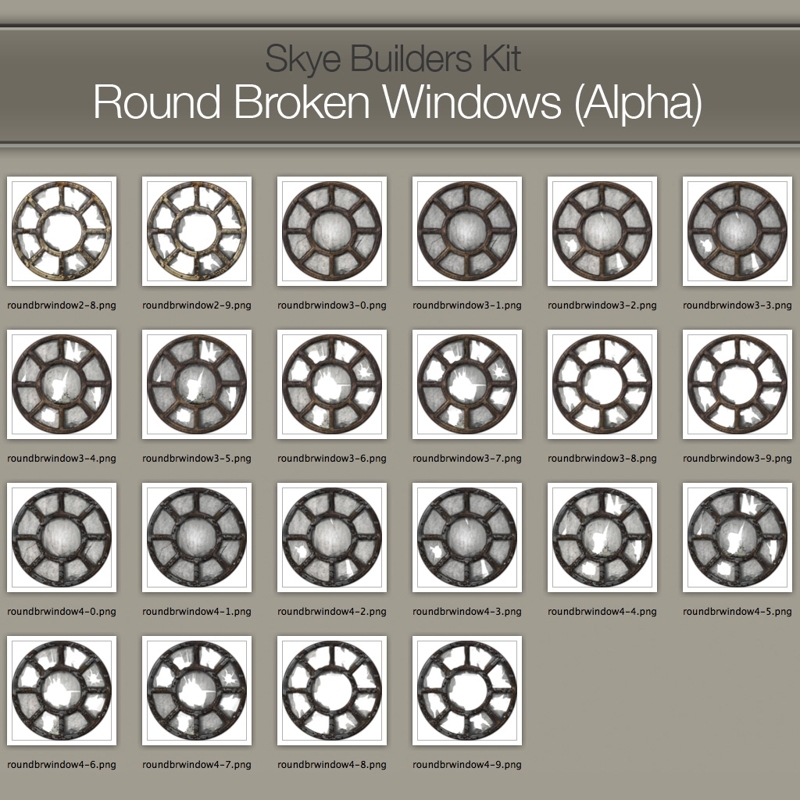 Please see contact sheets in images (to the left) for full details of set.